Get some great health and safety tips and free downloadable checklists. Learn how to improve health, safety and productivity in your workplace. How to perform a fire extinguisher inspection in 3 minutes. Top 5 fire extinguisher inspection issues and what to do. Free fire extinguisher inspection mobile app. Find out more. 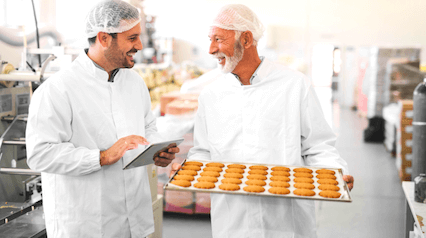 5 Best Tips on Implementing Food Safety in Food Manufacturing. Digital software to streamline food safety processes in food production. Find out more. Performance appraisals are used to improve employee performance, justify compensation and assess promotions. Learn top 5 reasons why performance appraisals fail. Tips on how to conduct effective performance appraisal. Download free performance appraisal forms. Find out more. Tips and tools to help streamline documentation and fulfill record keeping requirement of HACCP. Easy to remember framework for routine CCP monitoring by line supervisors and designated staff in food production. Find out more. How to write an effective incident report. Learn the 4 different types of incident events. Free incident report templates to download and customize. iAuditor mobile incident report app. Find out more. Learn general safety tips when inspecting harnesses. Fall protection safety should be a top priority when working on tasks that require harnesses. Performing regular worksite and safety harness inspections can help prevent fatal falls and accidents. Download free harness safety inspection templates. Find out more. Definition of Retail Management. Responsibilities and Skills needed by Retail Store Managers. Tools that can help retail operations. Find out more. Improve the quality of teaching and learning. 5 Steps to An Effective Teacher Evaluation based on Danielson’s Framework. Be the right evaluator and make meaningful evaluations to foster professional growth. Use Digital Templates as Evaluation Tools Find out more. Observation in childcare. Purpose of Child observation. Child observation methods. Anecdotal Record of a child. Childcare tools, templates, and forms. Find out more. Coaching to empower employees to be the best performers that they can be and setting them up for success in the workplace. 5 Important Aspects to Consider when Coaching. Personal benefits of coaching to employees. SMART Action Plan. What is coaching (and what it is not). Coaching is continuous and two-way. Find out more. Why training evaluation is important. Points to remember for training effectiveness (a version of the Kirkpatrick model). Download iAuditor’s free digital templates to facilitate better training evaluation using your mobile device. Find out more. 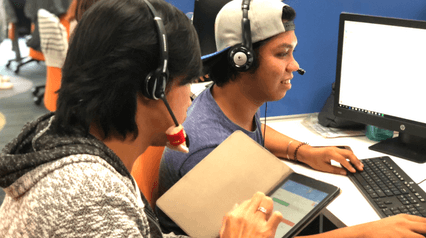 What is call center qa and how is it measured? 6 Tips for Call Center QA: 1) Set priorities; 2) Ongoing QA; 3) QA everyone; 4) Align business goals; 5) Think customer; 6) Use the right tools. iAuditor mobile app streamlines your call center qa reporting. Find out more. A Focus on Focus Groups. Understanding why consumers choose certain products or brands can be a challenge. However, focus groups are a handy tool to help companies explore this and similar questions. 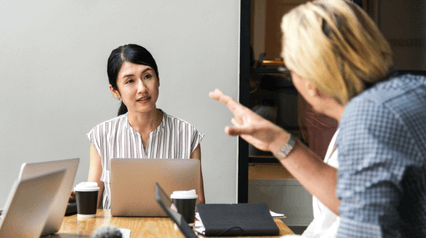 This article will explain how businesses can benefit from focus groups, provide tips on conducting effective discussions Find out more. Importance of Customer Satisfaction Surveys for Retail Businesses. Customer surveys for retail stores, restaurants, franchises, hotels. Tips on asking the right questions and choosing the right delivery method. Find out more. What is a Mystery or Secret Shopper? How is it performed? Pros and Cons of implementing a Mystery Shop. Tips to implementing a Mystery Shopper program. Free Mystery Shopper Survey Questions and Checklist resources. Find out more. What is ISO 14000? How to develop an effective Environmental Management System (EMS) for your business? Benefits of ISO 14001:2015 certification? Available resources to help you get ready for your certification. Find out more. ISO 9001 explained in plain English. What is ISO 9001:2015? What is a Quality Management System? ISO 9001 certification requirements and benefits. Steps to become certified. Find out more. 5 Preliminary Steps to develop a HACCP plan. 7 HACCP Principles to improve food safety. Free iAuditor HACCP Checklists to perform successful HACCP Plan. Find out more. GMP for manufacturing quality and safe products. Understand FDA and WHO GMP guidelines and improve processes on a regular basis. Use digital GMP self-inspection checklists to prepare for inspections. Find out more. What a Gemba Walk really means and what it is not? 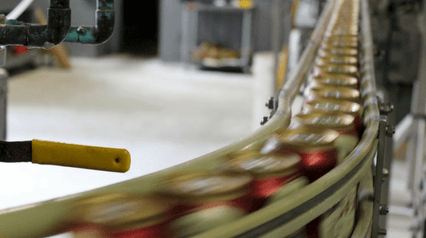 What to do during a Gemba Walk? Using digital checklists to make your Gemba Walks a success. Find out more. Learn what 6S Lean means in the workplace. How to incorporate Safety into your existing 5S system. Develop a highly productive and safe workspace. Download free digital 6S checklists to implement and audit your 6S process. Find out more. 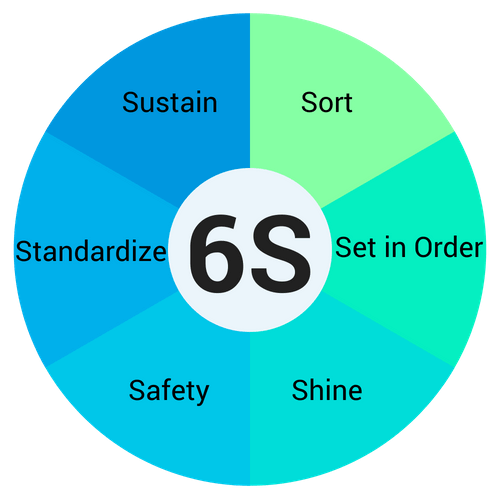 Learn about the 5S principles: Sort, Set in Order, Shine, Standardize and Sustain. Increase team productivity. Ensure quality and safety at work. Use iAuditor to conduct digital 5S Audits and measure score and performance. Find out more. Understand warehouse safety hazards and safety tips to follow. 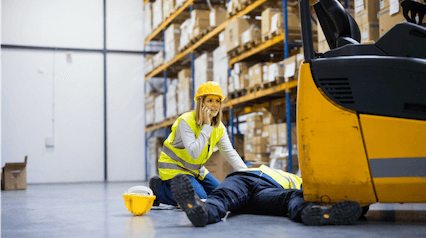 8 Warehouse Hazards: 1) Forklifts, 2) Docks, 3) Conveyors, 4) Materials Storage, 5) Manual Handling, 6) Hazardous Chemicals, 7) Charging, 8) Energized Equipment. Find out more. 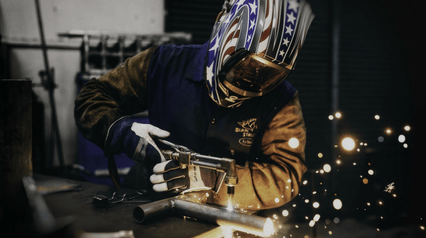 Common welding safety hazards. 1) Exposure to Fumes and Gases. 2) Physical Hazards. 3) Electrocution. 4) Fires. Learn what to do. Use the iAuditor mobile app to conduct safety inspections before commencing weld. Find out more. 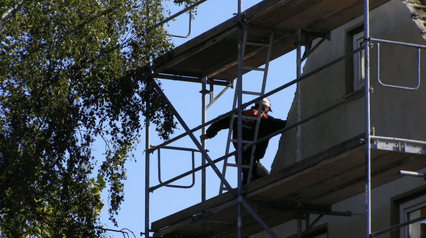 Inspecting the safety of scaffolds in construction? Learn the Do’s and Dont’s and how to perform and read scaffolding tags. Use digital checklist app iAuditor to create a more secure workplace. Find out more. Personal Protective Equipment (PPE) is clothing or equipment designed to protect workers from physical hazards when on a worksite. 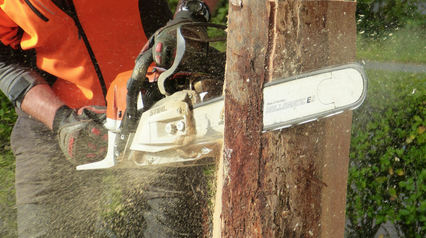 PPE should only be considered as a last line of defence between a hazard and the worker. Find out more. 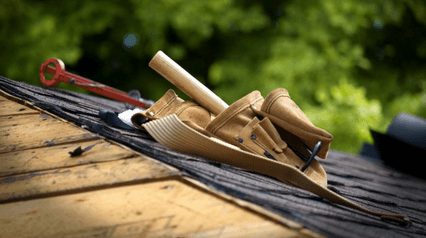 Top 10 safety tips for roofers. Identify common rooftop safety hazards. Follow these safety tips and download free checklists to improve your worksite safety and make your workers feel more secure. Find out more. How to identify common electrical safety hazards in the workplace. 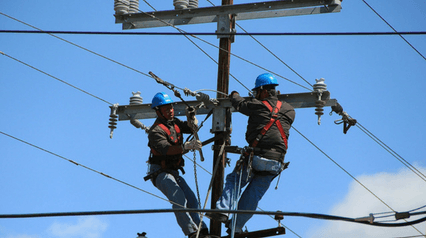 Safety tips and free template resources to protect your workers against electrical hazards. Find out more. 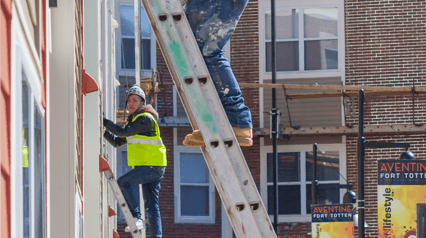 Learn how to be safe when using ladders. Identify safety hazards: 1) Before using a ladder; 2) When setting up your ladder; and 3) When climbing your ladder. Use the iAuditor mobile inspection app to make your workplace more secure. Find out more. Risk assessments are a systematic examination of the safety in your workplace. Learn what a risk assessment is and the 5 steps to performing a risk assessment. Find out how to use a risk matrix to assess consequence and likelihood. Understand how to implement control measures. Download free risk assessment templates. Find out more. Looking for toolbox topics? Cover these health and safety toolbox talk topics in your next toolbox meeting: PPE Safety, Slips Trips and Falls, Electrical Safety, Working at Heights, Confined Space. Use a toolbox checklist to record your daily safety talks. Find out more. Working in confined spaces? Understand the hazards when working in confined spaces. Follow these safety tips before working in confined space. Perform regular confined space mobile safety inspections with iAuditor to improve safety, compliance and streamline your inspection process. Find out more. Excavation safety tips to protect workers from injuries and fatalities when excavating and trenching. Free digital excavation safety checklists you can use to replace your paper based inspection forms. Find out more. Job Safety Analysis (JSA) also known as Job Hazard Analysis (JHA) is a process of looking at a work task and considering what is the safest way to complete it. Learn why it is important, how to perform it, what jobs are suited and download free JSA templates to get started. Find out more. An effective safety induction is critical when welcoming new employees to a workplace or site. This safety induction guide covers the importance of inductions, tips to carry them out, topics to cover and free mobile checklists you can use to perform effective site and safety inductions using iAuditor. Find out more. Identifying hazards in the workplace and the 6 common hazards to look out for. Steps to follow when identifying hazards. Free hazard identification checklists you can modify - use iAuditor to transform your hazard identification procedures. Find out more. General ways to prevent ergonomic hazards. 10 simple ergonomic principles to follow in the workplace. Conduct regular self inspections using iAuditor to reduce workplace injuries and improve productivity. Find out more. Radiation Safety Tips. Protect against radiation hazards. Everyone must take radiation overexposure seriously. Here are 10 rules to remember when working with radiation. Use iAuditor for radiation safety inspections on your iPhone, iPad, Android or Windows device. Find out more.